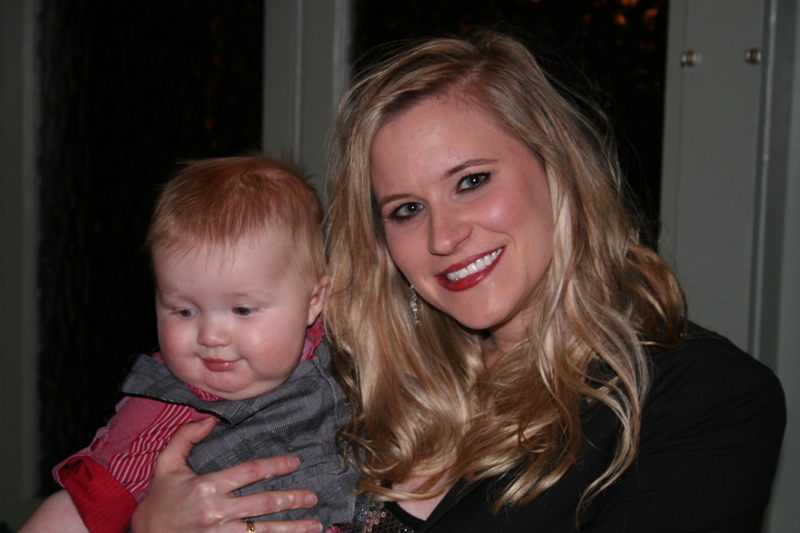 Having a baby during the holiday season is so much fun! I love all the Christmas activities that you get to do with your children. 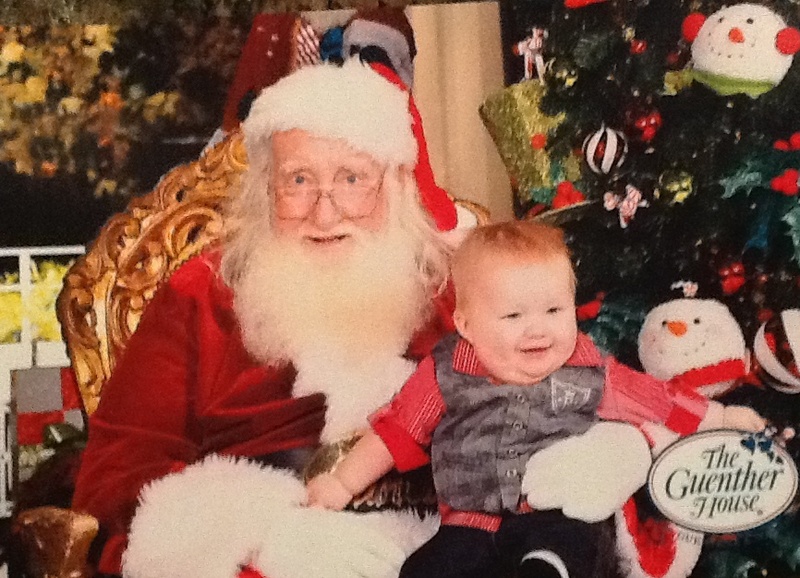 One of the most exciting of all is your baby’s first visit to Santa. 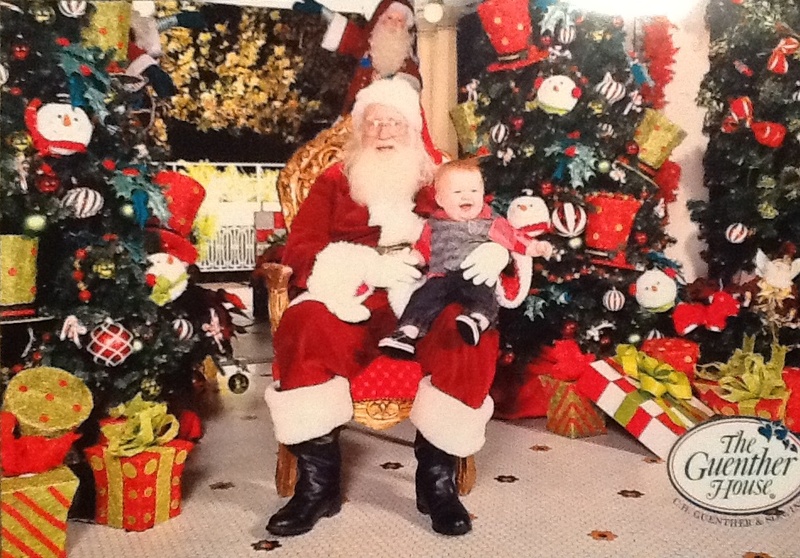 I was a bit nervous about this Santa visit – particularly as it always seems like it involves crying babies being forced to be held by an old man they don’t know. We joined our group of friends and headed downtown to the Guenther House. They had a beautiful set-up and “real” Santa and Mrs. Claus (to me a Santa HAS to have a real beard). For a $10 donation to the San Antonio Police Department you received two pictures. We didn’t have to wait in line at all so I grabbed my camera and mentally prepared myself for Luke to freak out. But myself, Daddy Russ and all the onlookers were pleasantly surprised! 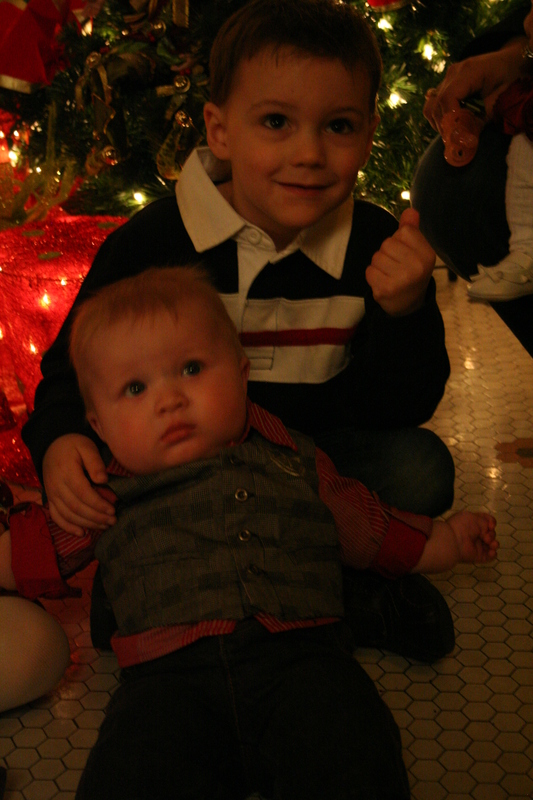 As soon as I plopped that big boy on Santa’s lap he started giggling and trying to pull his beard! He was so happy he had everyone laughing and we got fabulous pictures! 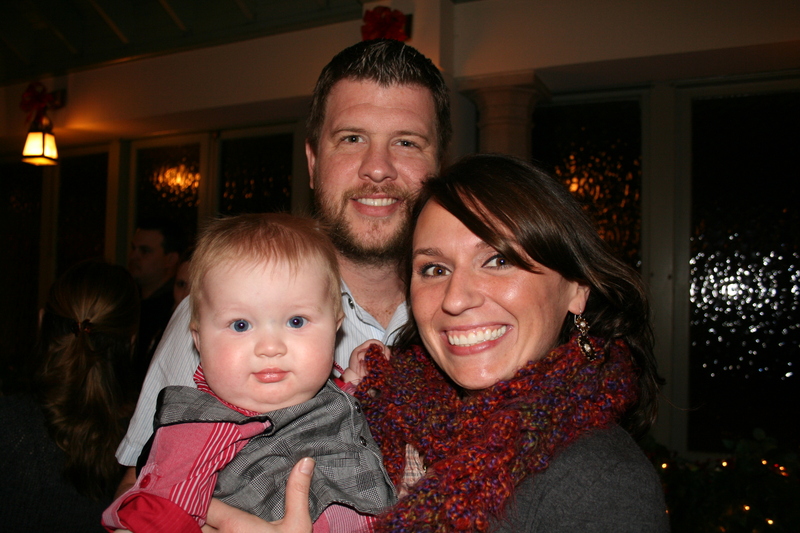 It’s such a special time of year and I believe Luke is the best Christmas present a parent could receive! That is exactly what I expected that big boy would do!! He is so precious!